Myles along with his sister Erica made their debut in the show ring in August. Myles took Best Puppy in Breed at Hound Association of Ireland at beginning of the Munster circuit week and continued his success by winning his Puppy Dog class at all 4 Circuit Championship shows during the week. 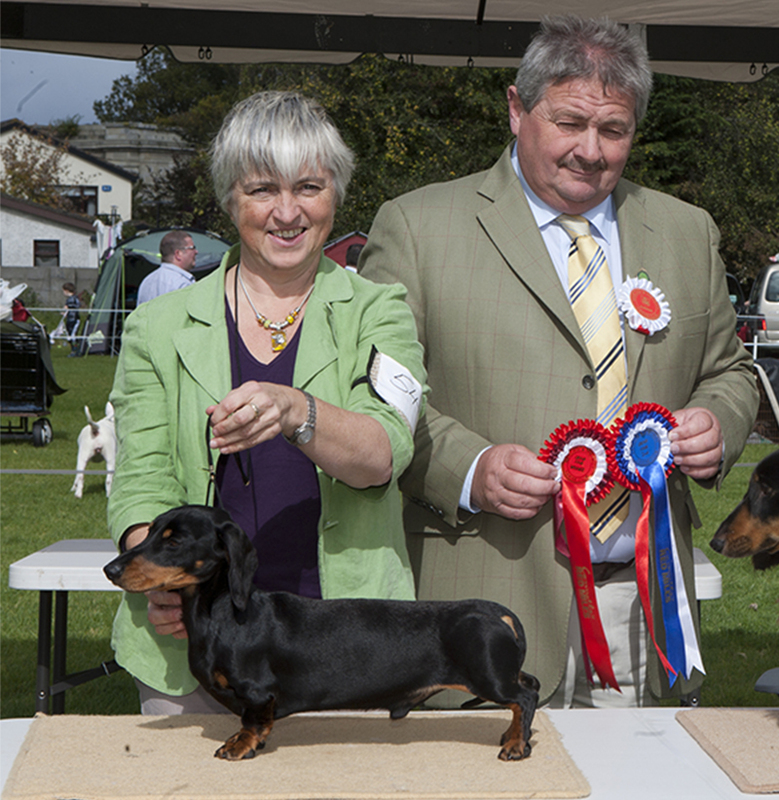 In September 2010, Myles took Best Puppy in Breed and went on to Best Puppy in Group 4 at the IKC International show. 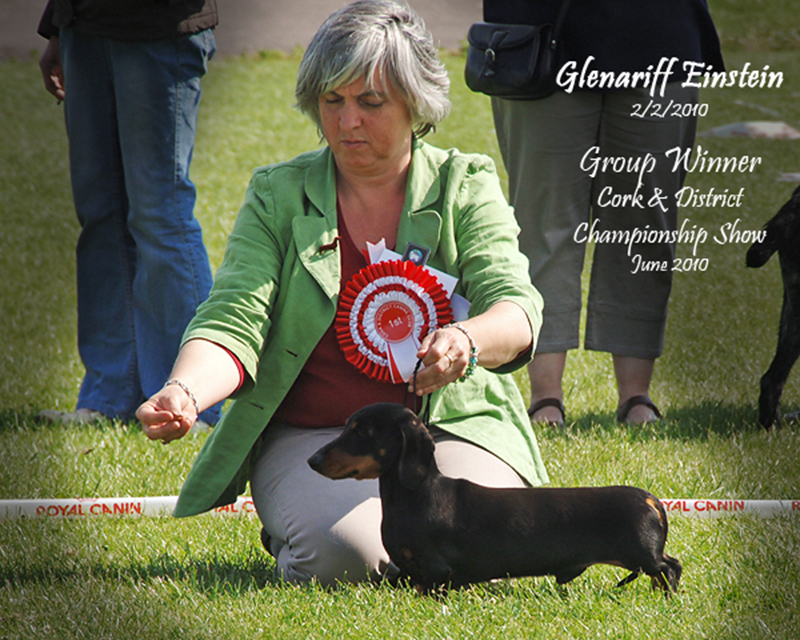 A soft natured, loving dog at home he has proved himself in the showing winning his Jun Ch title and in Irish title in August 2012 and along the way has won several groups. Myles was retired from the show ring at the end of 2013 and in April 2014 went to live with Patrick in Co Cavan. They adored each other and we were devastated to hear the news, that as a result of eating a sharp piece of plastic that pierced his stomach, he lost his life in January 2015, just days before his fifth birthday.